This Indian eatery stands out from the rest with its modern take on traditional dishes and experimental accompaniments. In the heart of Newtown, you'll find one of the busiest Indian restaurants in Wellington. 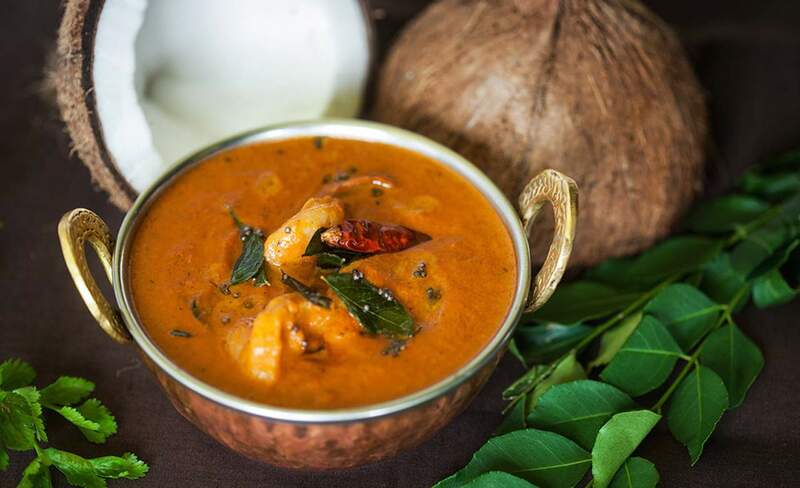 Planet Spice has gained an impressive reputation for its home-cooked curries that give you the best of Southern and North Indian cuisines. The family run business opened by Govind and Hasu Patel in 1997 has gained a longstanding prestige amongst locals of Newtown and Wellington alike. If you intend on going to Planet Spice, make sure to bring friends with you and an empty stomach. The servings may appear modest but you will quickly find yourself fuller than you ever thought possible and expect to have leftovers for days to come. The small but mighty curries are easy to share and it is best to order as many as possible because they all bring different flavours to the table (pun intended). Every meal offers contrasting and glorious colours which aesthetically showcase India's renowned appreciation for vibrancy in food. A quality also seen in their clothes and culture. The Saagwala is a South Indian dhal enriched with home ground spices that can be served with chicken, beef or lamb. If north Indian food is your preference, Planet Spice has that covered too. North Indian cuisines are influenced by the Persians and Arabic countries; the dishes often have thicker and creamier sauces, are less spicy and prominent ingredients include yoghurt, garlic and onion. The Rogan Josh is a North Indian speciality that infuses spices and a plush spinach gravy. Another popular dish that is also vegetarian and was recommended by two flatmates of mine is the Palak Paneer. The homemade cottage cheese cubes are buried amongst a thick green paste of puréed fresh spinach deliciousness. In terms of naan, there is something for everyone with a plethora of options available — ten to be exact. The garlic and cheese naan is probably the food of the gods and the chicken tikka cheese naan sounds promising too. Those with a sweet tooth might opt for the chocolate naan that is filled with chocolate chips, coconut and cherries. Another saccharine treat on offer is the dessert Gulab Jamun. The milk dumplings are sweets soaked in a sugar syrup, rosé and taste surprisingly spicy. Planet Spice will deliver on the classics but also offer menu specials that you may have come across before. The Achaari Chicken is a North Indian curry using pickled ingredients that Planet Spice have made their own. Boneless chicken pieces are marinated in aromatic and tangy pickling spices that rest on sliced apple and onion salad. The modern take on traditional dishes and experimenting with nutritious accompaniments make Planet Spice a stand out from other Indian eateries and a good pick for health-conscious Wellingtonians.